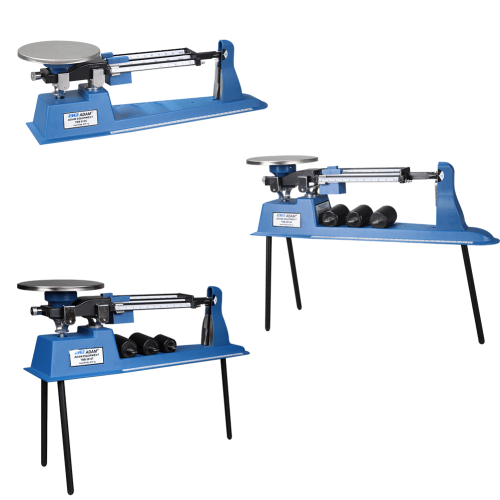 Created to withstand daily student use, Adam Equipment's patented TBB triple beam balance offers a superb value for teaching mass measurement concepts. With rugged construction and security slot to prevent theft, the durable TBB is ideal for classroom environments. Sturdy metal housing and a grade 304 stainless steel pan help the balance withstand daily student use. Other features include tripod legs for density measurement, weigh-below hook, magnetic damping for faster stability, notched and tiered graduated beams with center reading, and holders for storing extra weights. The TBB 2610T is equipped with a 225g tare range.